Dolby Digital AC3 is mainly used on DVD, Blu-ray, home cinema, etc. AC3 is covered by patents and decoding AC3 needs to pay a commercial license, which causes some device or audio app developers to ban AC3 from their products, among which the most typical example is Apple products. Apple products, like iPhone, iPad, Apple TV, iTunes, QuickTime, etc can not support AC3 audio. What’s worse, the container formats, like MKV, MP4, AVI, MXF, MOV, 3GP, etc, contain AC3 audio within can not be played by the above said Apple products either. On the contrary, AAC audio can be played by Apple products well. If you need to convert AC3 to AAC, a powerful and professional tool can help you do the job easily. The recommended professional converter is called Pavtube Video Converter Ultimate (to get Mac version) which is specially designed to convert any popular video and audio files. You can not only change your video/audio files from one container to another, but also easily change the audio track of your video file. Below we have list the things that this video converter can do for you. Convert video or extract audio from over 200+ formats, including MP4, AVI, WMV, FLV, MKV, MOV and more. Convert AC3 audio in MKV, MP4, MOV, AVI, TS, FLV…to ACC with adjusting audio channels: Mono, Stereo, 5.1 channels. Vice versa. Convert MKV, MP4, MOV, AVI, TS, FLV to MP3, AC3, OGG, FLAC, AAC, M4A, WAV, AIFF if you need. Allow you to adjust video parameter in Blu-ray, DVD, digital videos, audio. Edit, enhance & personalize your video/audio files by trimming, cropping, setting effects, rotating, merging, splitting, adding subtitles, and more. 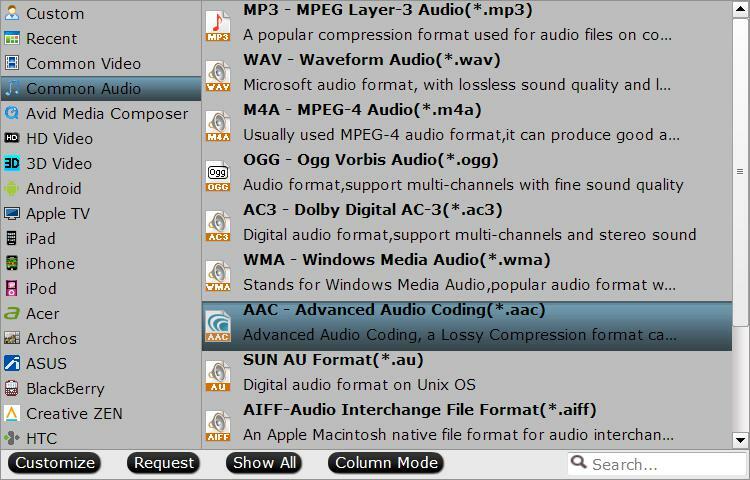 The following guide will show you how to convert AC3 to AAC audio codec with Pavtube Video Converter Ultimate, and the steps below are very easy to follow. Check it out. Step 1. Download or purchase the products you like by hitting bellow button. Step 2. Load the MP4/MKV/AVI/MOV file you want to convert in this software by adding from the folder or directly using drag-or-drop function. Step 3. Define the output format. 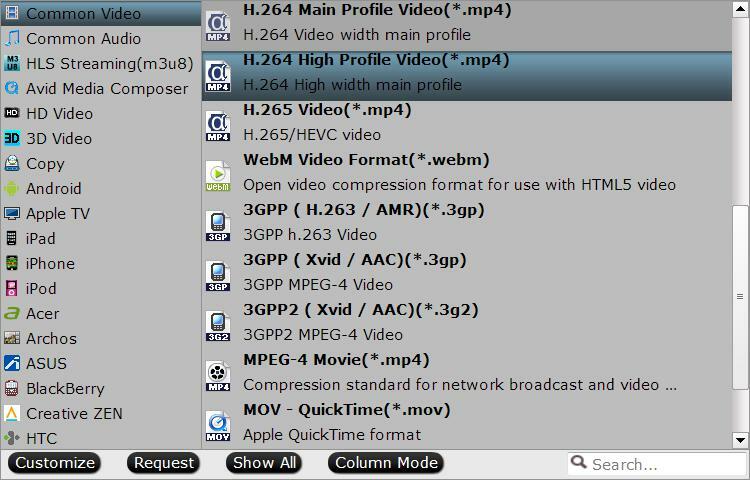 You can still save the output video format as MKV, MP4, AVI…as you like by selecting the formats from its format list. For example, choose MP4 from "Common Video". Step 4. Adjust the video audio codec by changing the AC3 to AAC in "Profile Settings" window. 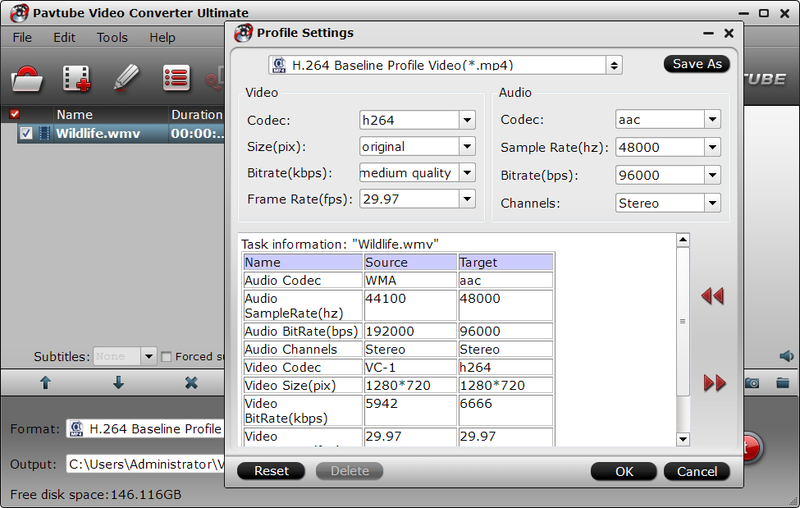 Apart from that, you are able to adjust video codec, resolution, bit rate, fame rate, sample rate, channels, and more. Step 5. After you have done all settings, then go back to the main UI and press the Convert to start the conversion. When it is over, you can locate the output file in the output folder you set. Step 1. Load the MP4/MKV/AVI/MOV file you want to convert in this software by adding from the folder or directly using drag-or-drop function just as Part 1 I show you. Step 2. The only difference is the step 2. To convert video to audio, you can select the output format as audio formats. Here offers you dozens of options: MP3, AAC, AC3, OGG, FLAC, AAC, M4A, WAV, AIFF…Just select the one you need. Step 3. After you have done all settings, then go back to the main UI and press the Convert to start the conversion. When it is over, you can locate the output file in the output folder you set. Extract Audio/Music from DVD easily?